messaging | Together, We Can! There has been a debate raging for a couple of months now on whether there is a difference between “Enterprise 2.0” and “Social Business” and, if so, what it is. The debate began concurrently with the Enterprise 2.0 Conference, held in Santa Clara, in November 2010. I weighed in then with my take in this post. Since then, the debate has moved over to Quora, where someone asked, “What are the distinctions between Social Business and Enterprise 2.0”. In spite of all this discussion, it was not until today that the difference between Enterprise 2.0 and Social Business truly became clear to me. The event that triggered my new-found understanding of these terms was the launch of tibbr, TIBCO’s “social computing tool”. As TIBCO Chairman and CEO Vivek Ranadivé explained during the launch event, tibbr was built to deliver the right information, to the right people, in the right context. A noble goal indeed. 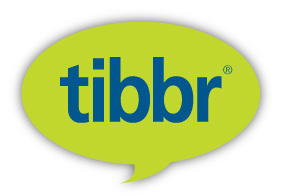 tibbr takes advantage of TIBCO’s well-honed expertise in the management of real-time messaging at scale, their extensive library of enterprise system adapters, and a real-time rules engine that creates context for content. Do you see it? tibbr is the poster child for Enterprise 2.0, as it was originally defined by Professor Andrew McAfee. tibbr is literally about applying Web 2.0 technology design principles to enterprise systems. Social Business, on the other hand, puts people first – before applications, processes, and subject entries in the corporate taxonomy. The difference could not be clearer. Yes, one can follow another individual in tibbr. However, as Jon Scarpelli, VP of CIBER’s Outsourcing Practice recounted during the launch event, his company switched from Yammer to tibbr because CIBER employees were “more interested in following subjects”. My point? Social Business is about people first. Enterprise 2.0 is primarily about technology that enables business processes (or, more accurately, barely repeatable processes and process exceptions) via human interaction. Both are valid and valuable approaches to structuring and running an organization, but it is critical to know which one your company values most. Does it want to be a social business that emphasizes and connects people, or an entity that uses Web 2.0 technologies to achieve business goals when rigid, transactional systems can’t help? Answer that question first, then choose your technology solution.